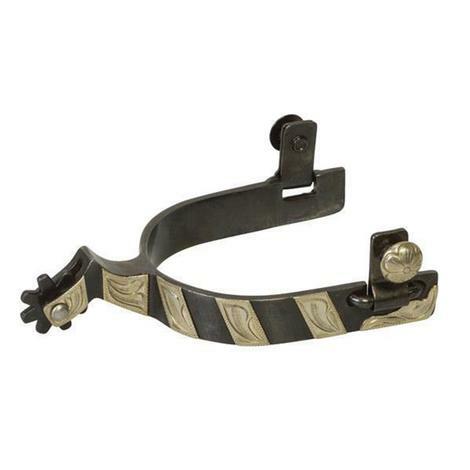 A new spur from the Josiane Gauthier Collection. 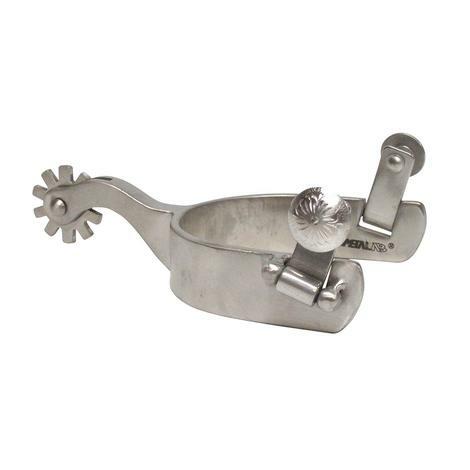 This is a level spur with a brushed stainless steel finish. The rowel is a I inch cut out. The shank is 2 3/8 inches and has dot trim. 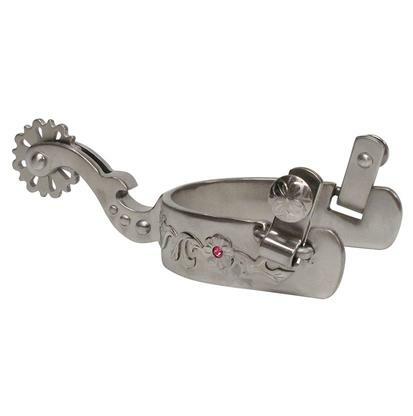 The band is 1 inch and has stainless steel trim and pink stones.